Home to two of the three major airports in the area, Queens is widely considered to be the transportation hub of New York. Between LaGuardia and JFK Airport's vast amount of airline carriers, there are countless ways to get where you're going. Unfortunately, this popularity has its downsides - congested traffic, costly parking, and long lines can take their toll on travelers. Our Queens car services are the best and easiest way to travel in New York. If you're traveling to LaGuardia, our Queens airport shuttles are the most convenient way to travel! That's why ETS Airport Shuttle offers convenient, cost-effective Queens car service. Our experienced and dependable drivers will get you to or from Queens, LaGuardia, JFK, and more on time and in comfort, all at an affordable cost. Remove all the hassle from your trip - Just sit back, relax, and leave the rest up to us. Airport shuttles in Queens, Forest Hills, Richmond Hills, Jackson Heights, Bayside, Brooklyn, Long Island City, Jamaica and more. Need a charter car service in New York City? ETS is more than just airport shuttles to Queens, we provide privates charters for special events, corporate shuttles, and cars for concerts, sporting events, or just a night on the town. 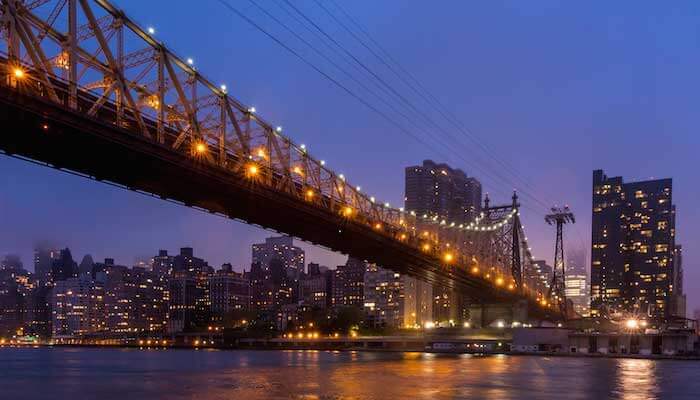 From the Bohemian Hall and Beer Garden in Astoria to the Flushing Meadows Park and the Unisphere and the Panorama of NYC to Rockaway Beach, ETS Airport Shuttle in Queens can provide all the transportation you are looking for. Our Queens shuttles are the best group transportation option in New York, reserve your next group charter service in Bayside with ETS Airport Shuttle. Our Queens car service operates 365 days a year - we're ready when you are! Check out our list of car services in Queens and get started by booking a ride. Reserve a JFK to Queens shuttle today!